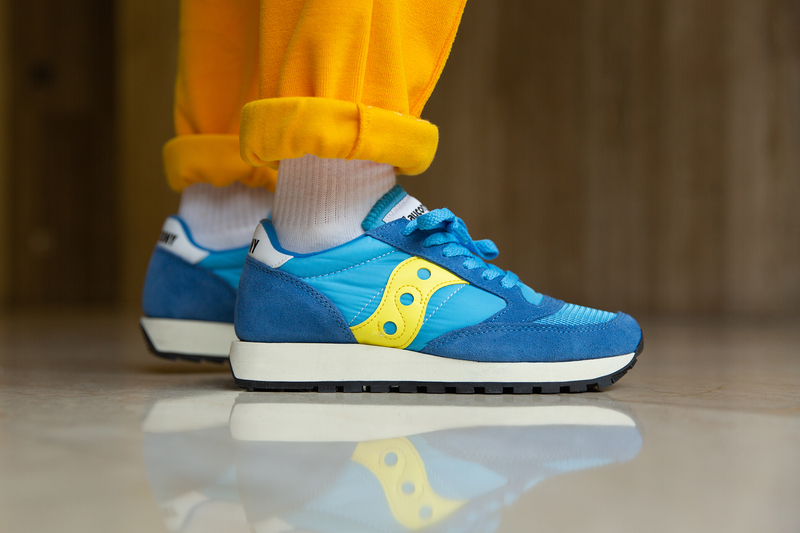 Still maintained as one of the most important running shoe brands today, Saucony Originals often look back to their archive for inspiration. This season they’ve brought back a selection of some of their most recognisable shapes, with many returning in OG colour ways. There’s a broad selection of different models arriving at size? over the course of the next few months, but it all starts with the Jazz OG. One of the brand’s best-selling shoes of all time and released back in 1981, it was developed alongside a team of specialist podiatrists to ensure the shape was as comforting to the human foot as possible. Compared to modern-day running shoes which are often bursting at the seams with technology, the Jazz is a very simply constructed product. Billed as one of the most technologically advanced Saucony shoes at the time. 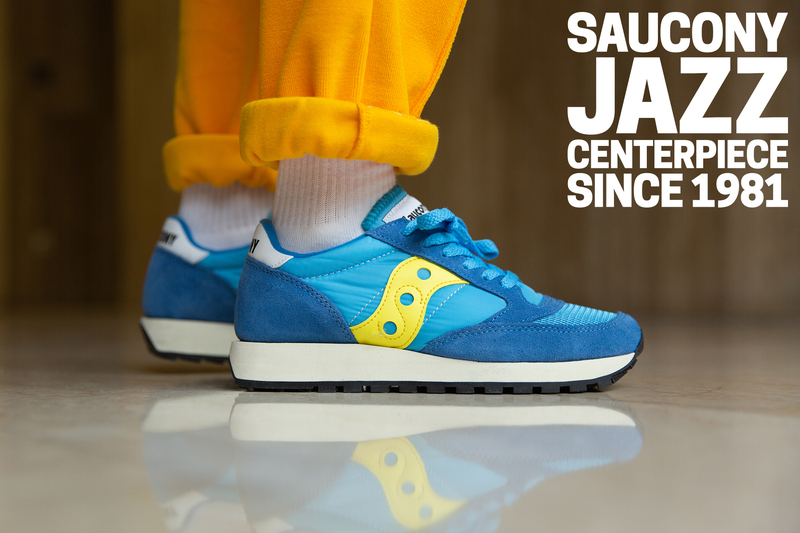 Underfoot, Saucony’s signature triangular lug footprint formed the traction element of the outsole, which has been continually transformed over the years through advances in technology as the brand evolves. 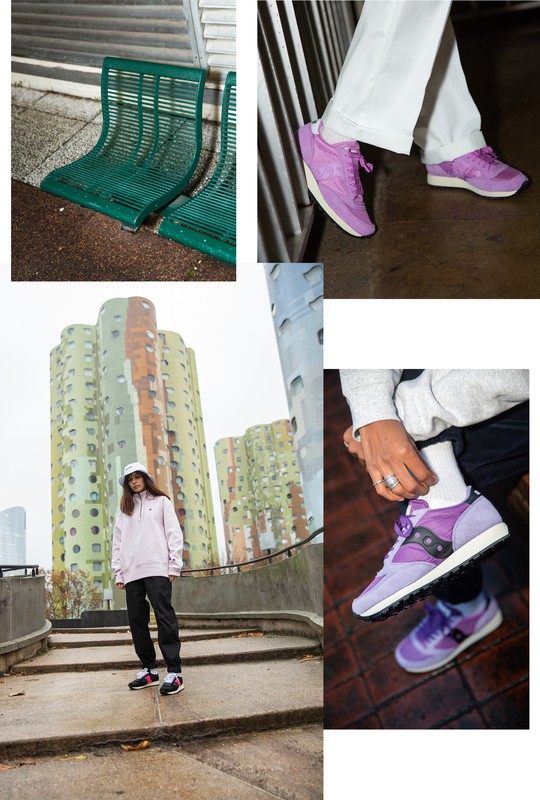 Shop the latest colourways of the Saucony Jazz OG online and in size? stores now.